Do you suffer from mysterious symptoms such as fatigue, brain fog, stuffed nose, headaches, mood swings, skin breakouts, bloating and joint pains? Did you check with your doctor and all tests came up normal? Have you tried different treatments with no satisfactory results? If you answered yes to the above questions, there is a strong possibility that you have hidden allergies that are underlying your health problems. With one in three people struggling with hidden allergies, they are now seen as an epidemic. Allergy is an immune reaction to toxins in the environment or to food. It can be caused by environmental toxins such as chemicals, fume exhaust and dust as well as foods that are not tolerated by the body due to an intolerance or sensitivity. 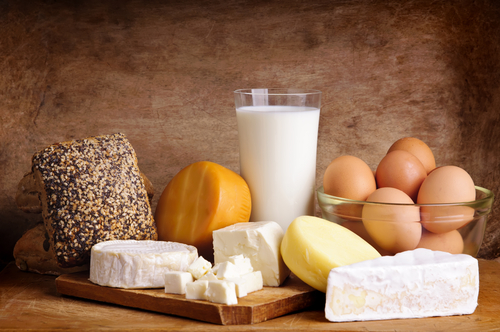 The most common allergenic foods are dairy, wheat (gluten), soy, corn and eggs. What are Possible Symptoms of Hidden Allergies? In my oakville holistic nutrition practice, I’ve helped so many clients overcome one or more of the above seemingly unrelated symptoms and in most cases I’ve discovered that hidden allergies or sensitivities are the underlying cause of their problems. 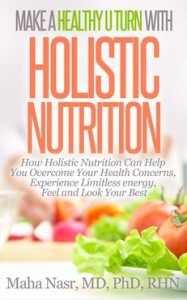 By following a holistic health plan that provides them with a hypoallergenic and anti-inflammatory diet and a healthy lifestyle that ensures a clean home and work environment usually results in impressive results within a short period of time. Eat a whole foods diet: Eat natural whole foods with minimal processing and packaging. This ensures less exposure to chemicals and toxins in additives and preservatives. Detoxify your environment: Avoid air fresheners, scented candles and chemical cleaning sprays. Use natural alternatives such as essential oils, baking soda and vinegar instead. Take time for relaxation: stress increases inflammation and weakens your immune system causing your allergies to flare up. Taking time every day to practice a relaxation technique such as yoga, meditation or simple breathing can help you heal your allergies a swell as improve your overall health. Although Hidden allergies can underlie so many common health conditions, they can be easily missed and are usually not addressed by conventional medicine as a possible underlying factor. However a holistic nutritionist is trained to pin point hidden allergies and use a targeted health plan to help clients eliminate allergens from their diet and environment and rebuild the immune system. Allergy is a reversible disease that you don’t have to live with all your life. If you suspect that your symptoms are caused by hidden allergies, ask for help of a qualified holistic nutritionist or natural health practitioner to help you find the right solution for your seemingly unrelated and mysterious health problems once and for good. If you need help with your health and nutrition, contact Oakville nutritionist Maha Nasr at 416 876 4634 to book an appointment or sign up for a FREE Clarity Session to learn more about our approach and to discuss any concerns.